Complete with wedding dress and cobwebs! Intimate comedy with music, song and an array of endearing characters. Claudia lives an hour and five out of Christchurch. Her husband is a farm accountant and her son Ben plays in a band. 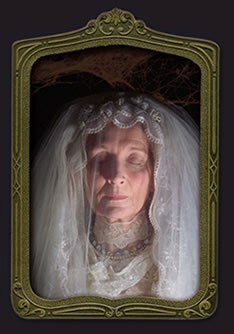 When an eccentric Irish film-maker comes to New Zealand to make a film of Charles Dickens' Great Expectations, Claudia is keen to audition for the role of Miss Havisham as she sees it as a way out of her humdrum existence. As she prepares for the role, Claudia finds her own life takes on the twists and turns of a Dickens novel. 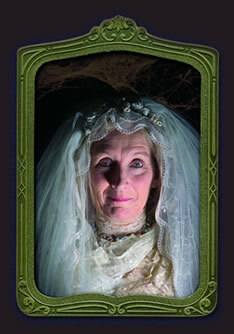 A work of unexpected visual richness, Playing Miss Havisham unfolds with mystery, music and surprise.